Appointed Chairman in June 1999, Mr. Rashad Al Zubair has more than 21 years of business experience. He was the Deputy Chairman & President of The Zubair Corporation and Vice Chairman of Ominvest from 1996 until 2011. Mr. Rashad Al Zubair was a Director of Capital Market Authority for more than six years until 2008. He is also the Deputy Chairman of Barr Al Jissah Resorts. Over the years, he has held various other directorships in companies such as Oman Refreshments, Port Services Corporation and United Power Company. Mr. Tamari is currently Chairman of the Board of Arab Bank Switzerland Ltd., Arabia Insurance Company and Watamar & Partners SA, a company he founded in 2003 in Switzerland that offers family office and wealth management services to high net worth individuals. He leads numerous projects in financial services and real estate. He is also an active member of the board of Arab Bank Plc, Consolidated Contractors Company, Solidere International, as well as a number of family companies. His deep understanding and passion for commodities began with his internship at Merrill Lynch London in 1982; later he joined Sucafina SA, a company belonging to his family which he managed between 1988 and 2004. Sucafina SA has grown to be one of the leading coffee trading houses with 9 sourcing operations in producing countries across Africa, Asia and South America. Mr. Tamari is an active member of YPO (Young President Organization) having previously taken the lead of their Alpine Chapter and serves on a variety of philanthropic councils that mainly focus on the education of young people. He sits on the board of LIFE (Lebanese International Finance Executives), a Lebanese Diaspora organization aiming to channel the influence of Lebanese Finance Executives worldwide in order to establish stronger bonds, nurture the next generation and promote Lebanon. Mr. Tamari is also an advisor to the board of trustees of The Hassib Sabbagh foundation and sits on the Board of the Tamari Foundation whose mission is to be a catalyst for change through a variety of educational initiatives and projects focusing on human well‐being within developing nations. Mr. Tamari resides in Geneva and was born in Beirut, Lebanon; he started his career as a coffee trader at Sucafina SA, Geneva. He is a graduate of Webster University Geneva with a BA in Management and Harvard Business School in 2013 Owner/President Management OPM 43. A Board Member of Oman Arab Bank and a Deputy Chief Executive Officer of Arab Bank since July 2010, Ms. Sadik has broad international banking experience built over 25 years. Before joining Arab Bank, Ms. Sadik served as Group General Manager for National Bank of Kuwait, responsible for the bank’s international and regional network of branches and subsidiaries. 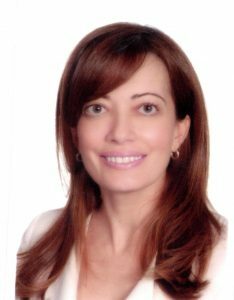 Ms. Sadik is also a board member of Arab Tunisian Bank in Tunis, Vice Chairman of Arab Bank Australia ltd, a board member of Arab Investment Bank S.A.L.-Lebanon, Chairman of Al Arabi for Finance (Holding co.) S.A.L.-Lebanon and Chairman of the Management Committee of Al-Arabi Investment Group. Ms. Sadik holds an MBA from the American University of Beirut (AUB). Mr. Hani Al Zubair has extensive knowledge and experience in financial, investment and business management areas. He is the Director of The Zubair Corporation, one of the leading private sector groups with business interests in diverse sectors such as Energy & Logistics, Engineering Construction & Contracting, Financial Services, Manufacturing, Real Estate & Hospitality and Automotive, and is the Chairman of Zubair Automotive Group. He also holds the position of Chairman in Fund for Development of Youth Projects SAOC and is the Deputy Chairman of National Finance Company SAOG. He was the Chairman of OMINVEST and served on the Boards of Commercial Bank of Oman, Muscat Finance Company and FINCORP. He was nominated by the Government to represent the Private Sector on the Boards of Government-owned hotels and held the position for 5 years. He represented Oman Chamber of Commerce & Industry as a member of the team for meetings of the Indian Ocean Rim – Association for Regional Cooperation, and also served on the regional board of the Young Arab Leaders. Mr Hani Al Zubair is a graduate of Richmond University, UK with Bachelors Degrees in Mathematical Science and Computer Science, and has been a keen sportsman. With a wealth of experience in legal, international business and finance, Mr. Mulham Al Jarf is directly involved in achieving Oman Oil Company’s (OOC) goals to pursue investment opportunities in the energy sector locally and internationally. As a Deputy CEO since 2004, Mr. Mulham oversees the Group’s Strategic Business Units (SBUs) and subsidiaries to support the diversification of the economy in Oman. Over 15 years of contributions to successful OOC operations, Mr. Mulham held roles including Legal Counsel and Head of Project and Structured Finance. Prior to joining OOC, Mr. Mulham was Legal Officer at Oman Gas Company SAOC and Legal Researcher at Ministry of Oil and Gas from 1999 to 2001 with responsibilities including legal support to gas based industries. In 1994, he started his career in the telecommunications sector as a Legal Researcher and Business Planning Officer with the General Telecommunications Company now ‘Omantel’. Mr. Mulham contributes to the business community as the Chairman of Sohar Aluminum Company LLC, Salalah Methanol Company LLC, Takatuf Oman LLC, Oman Oil Exploration and Production LLC and OXEA S.a.r.l. He is the Vice Chairman of Oman Oil Marketing Company SAOG as well as a Director of Duqm Refinery and Petrochemical Industries Company LLC, Oman Oil Refineries and Petroleum Industries Company SAOC, and Oman Arab Bank SAOC. Mr. Mulham holds a Bachelor of Business Administration from Marymount University, USA and a postgraduate Diploma in Law from The College of Law, UK in 1998. He is also a Barrister-at-Law of the Bar of England and Wales and a member of The Honorable Society of Gray’s Inn, UK. Mr. Abdulaziz Mohammed Al Balushi is the Chief Executive Officer of OMINVEST, major shareholder of Oman Arab Bank. Abdulaziz is an experienced and professional banker with more than 28 years of experience in the banking industry and capital markets. He was the CEO of Ahli bank SAOG from 2007 to 2013 and was primarily responsible in converting a single product mortgage bank into a full-fledged commercial bank. During his tenure, Ahli bank won many prestigious awards including the best bank of Oman for three consecutive years by OER, the best bank in Oman 2012 by World Finance and the Bankers award 2013. In a career which has spanned over two decades, Mr. Balushi has held positions of increasing responsibility in all major areas of Banking. Abdulaziz started his career with Oman International Bank and prior to joining Ahli bank, he was Deputy CEO of National Bank of Oman. Abdulaziz holds Master of Science Degree in Finance from the University of Strathclyde (UK) and a Fellow Chartered Institute of Bankers (UK). 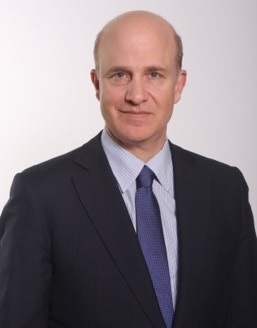 He has attended a host of Specialized Executive Management Development Programs at International Institutes of worldwide repute such as Strathclyde; London and INSEAD Business Schools. In November 2012, he was ranked as the “Second Best CEO in the Arab Banking World” by Forbes Magazine. 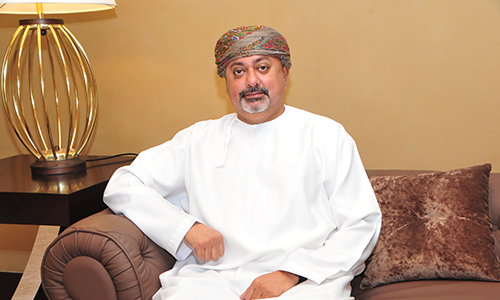 Abdulaziz served in various Boards of companies across the Sultanate including ONIC Holding, Al Ahlia Insurance Company, National Life Insurance, Oman Investment & Finance Company, Gulf Hotels Co. and as Advisory Board Member in the college of Agricultural and Marine Services at Sultan Qaboos University. 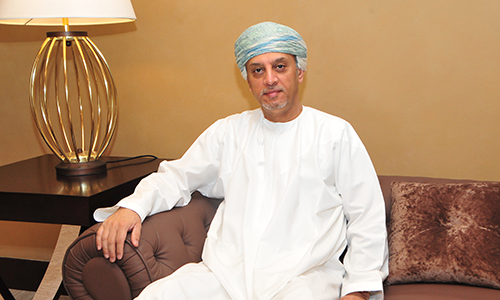 He is currently the Chairman of Oman Electricity Transmission Company, a wholly government-owned entity. He is also a member “The British Scholarships of Oman”, a local organization that sponsors outstanding Omanis for post graduate studies in the U.K.
Senior Vice President- Credit Group for Gulf, Egypt, Subsidiaries and Affiliates at Arab Bank. Mr. Samhouri has a vast banking experience for more than 25 years with Arab Bank where he worked in different geographies and handled various responsibilities in the Credit, Banking Operations, Commercial and Trade Finance. 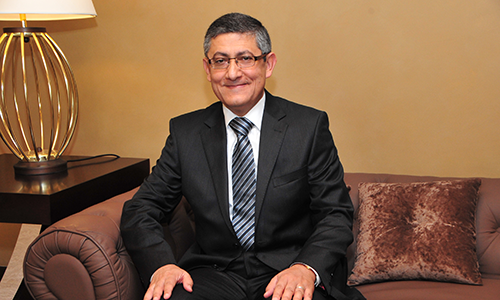 Mr. Samhouri is also the Vice Chairman of Arab Sudanese Bank-Sudan, a board member of Arab Tunisian Bank-Tunisia. He was a board member of Al Wehda Bank in Libya and also was a board member of Arab Bank- Syria. Mr. Samhouri holds a Master’s degree in Economics from the University of Jordan. Mr. Imad Kamal Sultan is the Vice Chairman & Deputy Managing Director of W. J. Towell& Co. LLC, a major diversified family-owned corporation, since 2002, and is currently the Chairman of Enhance Operating Companies, Fairtrade LLC, Al Marsa Fisheries LLC and Towell Engineering Services Co. LLC. He also serves as a Director on the Boards of Towell Auto Centre LLC, Nestle Oman Trading LLC, General Electric & Trading Company LLC, Towell Properties, W. J. Towell Kuwait, National Hospitality Institute, Tharawat Family Business Forum and Oman India Joint Committee. Formerly he served as a Director on the Boards of National Bank of Oman, Oman International Development & Investment Company SAOG. (Ominvest) and Oman Tennis Association among others. Mr. Sultan holds a Bachelor of Science in Business Administration degree in Marketing from the American University in Washington DC, USA and has been a member of the Young Presidents Organization since 2005. Ms. Nadya Talhouni has been member of the Board of Oman Arab Bank since July 2018. 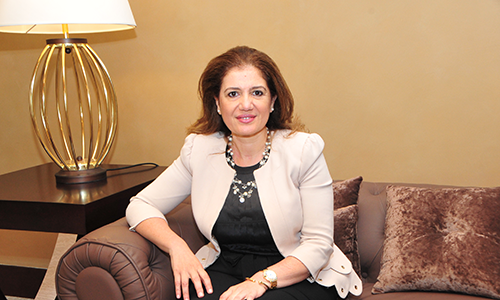 She is currently Head of Cash Management & Trade Finance at Arab Bank, having joined Arab Bank in 2002. Prior to joining Arab Bank, Ms. Talhouni spent close to nine years at Citibank N.A. working in various areas including regional business development, client coverage and relationship management, and securities and custody services. Furthermore, Nadya is also currently board member at Turkland Bank, Turkey. Ms. Talhouni has a Bachelors Degree in Economics from Bryn Mawr College, PA, USA.